You only want the best – and we get that. 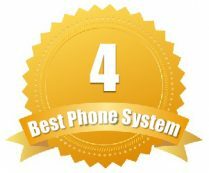 That is why we have created a list of our Top 5 Best Small Business Phone Systems. These companies offer not only competitive rates, but a full line of features and functionality that you will enjoy. Plus, they have a reputation for excellence and strive to make every customer’s experience a great one. Even better, they offer reliable service and redundant networks paired with great call quality to ensure you really have access to the best. Telzio makes it easy – they offer one plan that you can customize based on the number of minutes you need each month, and the number of SMS you need to send each month. All minutes are shared amongst all users on the plan. This way you pay only for minutes used, rather than paying for each and every user on the plan. Telzio offers most of the features that you will find with the leading Cloud Phone System providers such as RingCentral, VirtualPBX and Phone.com. They even offer call recording and voicemail to text transcription as standard features where the others don't. Telzio's key differentiator is its fast setup and configuration, and ease of use. Call flows and Call Management are all configured using drag and drop technology. 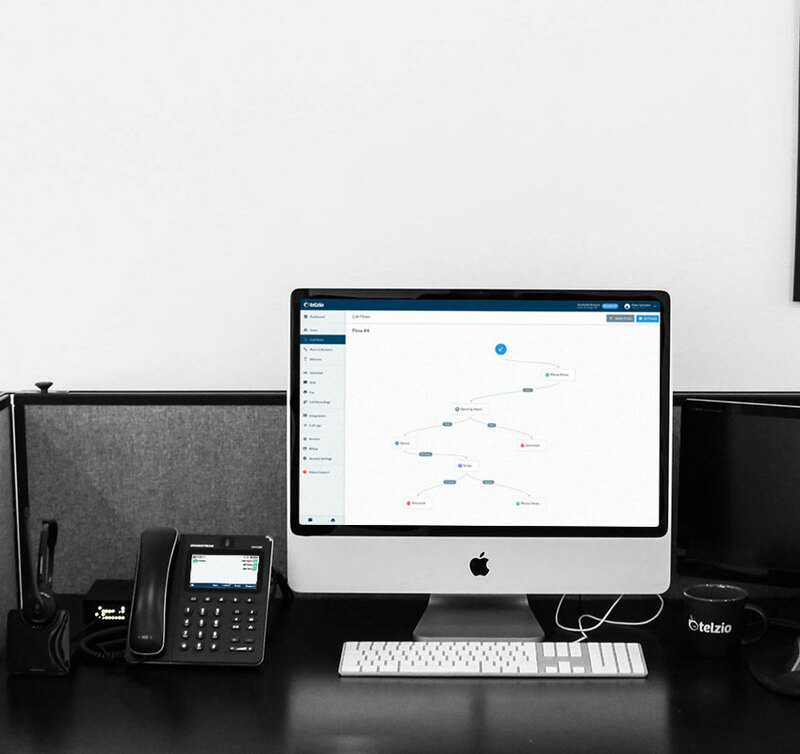 You can have even the most complex call flow setup and running in minutes rather than hours. We found this feature alone to set it light years ahead of the competition. Being able to quickly and easily setup a small business phone system and then easily modify it as changes occur should be a key factor in deciding on a system. They have one plan that starts at 1,000 minutes and zero SMS for $50/month. You can add 250 SMS per month for $13/month. You can also easily add minutes in increments of 1,000 for $39/month. With Telzio you are never locked into a plan – you can add minutes or SMS at any time, or cancel at any time. 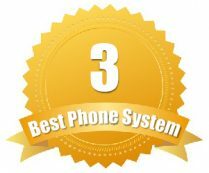 The best part is that you can try Telzio out for 30 days absolutely free and verify for yourself that it truly is the easiest, quickest and best small business phone system. Want to try it for free? You can try out Telzio for free for 30 days and see for yourself it Telzio works for your company. If you don’t like it, you can cancel at any time – so there’s no risk to try it out today. RingCentral is the ideal virtual phone system for just about any type of business. Whether you are a small business, one man show or even a large enterprise, RingCentral has the plans to accommodate. They are extremely versatile and can scale to your company’s growing needs. When you take a look at the price, they may seem steep, but with the comprehensive list of services and features, you can see that they are worth every penny. From HD calling to extreme redundant networks, Ring Central has standard features and then some. One of the best is their HD video conferencing capability, but they also offer those “expected” features like call waiting, caller ID, etc. RingCentral offers office and professional plans. The professional plans are designed for small businesses and at-home workers that don’t need the same high volume call capacity. Office Plans include the Standard, Premium, and Enterprise and come with unlimited local and long distance calling. Prices will range from $44.99 per month per user to $24.99 per month per user. The Professional Plans start at $12.99 per month for 300 minutes and as high as $39.99 per month for 2000 local minutes and 1000 toll-free minutes. Find the perfect Ring Central plan for you by trying it for free for 30 days. Ring Central is offering a 30-day free trial so that you can choose which plan you would like and try for free before buying. Phone.com is by far one of the better virtual phone system providers – in fact, they’re so great, Revuezzle uses them too! They are flexible and feature as-you-go plans so that you never have to commit to a lengthy contract. They also give you the option to scale the service as your business or minutes grow and they have one of the most affordable unlimited plans. With them, you also have 24/7 U.S.-based customer support – which is important because a lot of companies outsource their support overseas. You can also use them as an international company, but reroute calls via a US number. To get your money’s worth, you will want to go with their Unlimited Plan, which starts at a base rate of $9.99 per month then $23.99 per month per user for unlimited toll-free, unlimited local and long distance, etc. Virtual PBX is a flexible virtual phone system that makes it easy for businesses of all sizes to find a plan and then scale it to their needs as their business changes. They are feature-rich and ideal for small to medium-sized companies – though larger companies may find them adequate enough depending on their phone needs. They have been around for some time, especially compared to other VoIP providers and they offer fully redundant networks, high quality calling and even queuing features that other companies cannot compare to. This provider aims to be more than your average phone service, which is why they offer solutions that are adaptable to the needs of the business. Virtual PBX has Office and AnyWhere plans to choose from. Their Office plans are ideal for companies and businesses with a central location, while their AnyWhere plans are more designed for on-the-go professionals or at home businesses. You can expect to pay anywhere from $19.99 per month for 100 or more lines and $33.99 per month for just one line. Each of their Office plans come with unlimited minutes and 1,000 toll free minutes. AnyWhere Plans do not offer unlimited calling and you will pay anywhere from $9.99 per month to $24.99 per month. Get 10 percent off and save. If you really want to save money, you can take advantage of a 10 percent off coupon being offered via Virtual PBX so that you pay even less than the competition. Grasshopper offers a “traditional” spin to your virtual phone system needs, but in an untraditional way. They offer solutions for busy professionals, at-home businesses as well as traditional small businesses with their new unlimited minutes on all plans. 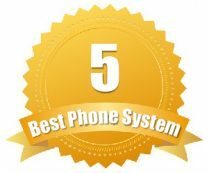 Grasshopper is different from the other companies in our Top 5 because they are not a VoIP provider. Although Grasshopper is managed entirely online, you can not use Grasshopper to make online calls the way you would with a VoIP provider. Grasshopper also does not suffer from any potential online degradation in voice quality like VoIP can – the reason being that Grasshopper uses the traditional phone network. 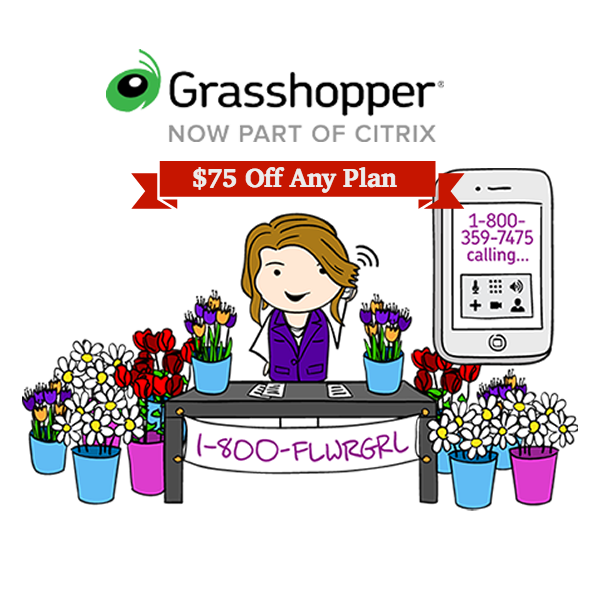 Think of Grasshopper as an add-on to your current phone system – it allows you to forward calls to cell phones or other phones. Grasshopper’s best deal is their Solo Plan, which starts at $24 per month with unlimited minutes, one free local or toll-free number, and three extensions. Their Partner plan is $49 per month for unlimited minutes , three numbers and six extensions.